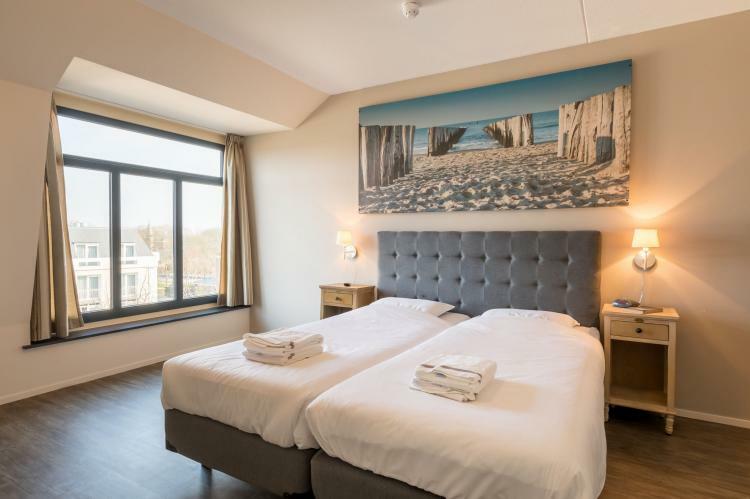 Résidence Wijngaerde is located in the centre of charming Domburg, just 200 metres from the beach. The selection has been greatly expanded. 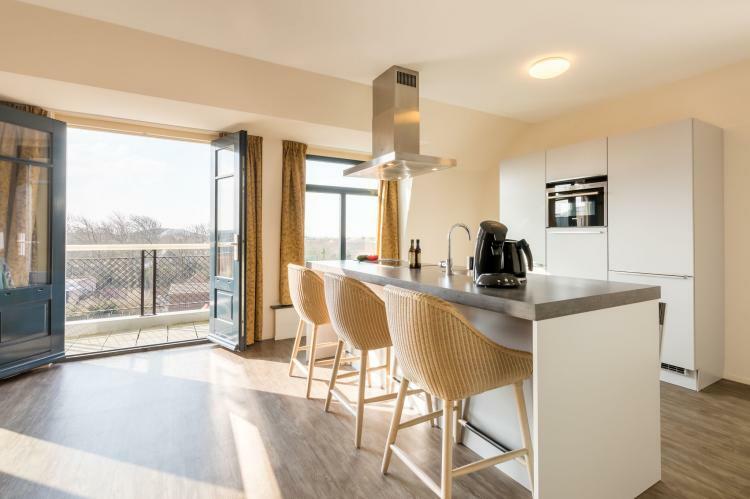 A total of five roomy variants have been added, including four 4-person apartments: a variant with a kitchen island and bar area (NL-5251), a comfort apartment with a kitchen island and bar area (NL-5109), a spacious apartment (127 m) with a roof terrace and loungers (NL-5110) and finally a spacious wellness apartment (127 m) with a kitchen island and bar area, infrared sauna and roof terrace (NL-5328). 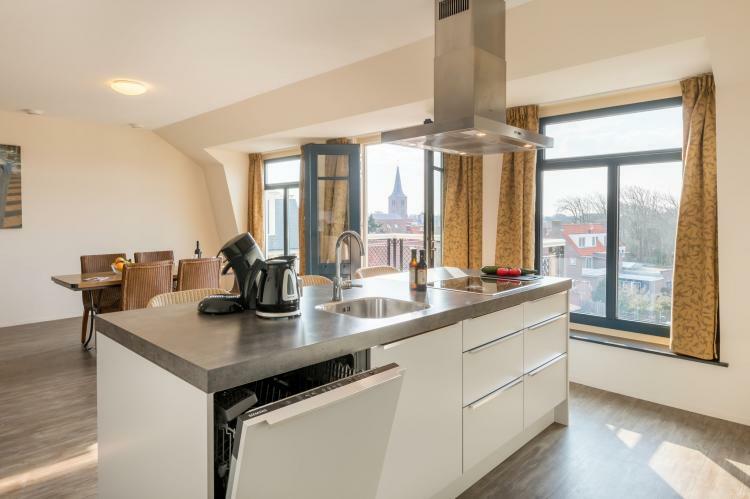 There is also a 6-person variant: a spacious apartment (144 m) with a kitchen island and bar area (NL-5112). 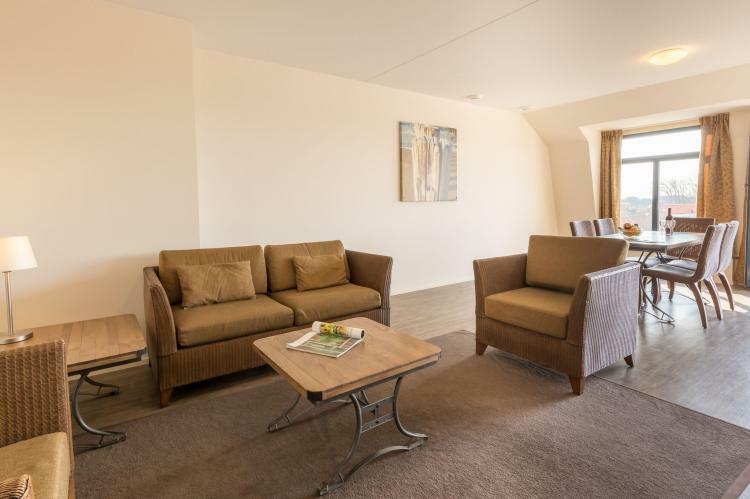 All the apartments boast a spacious and modern interior design. All the kitchens (most with a kitchen island) have a combination microwave as well as a dishwasher. There is air conditioning in the living room. The bedrooms contain comfortable box spring beds. There are two bathrooms (except for NL-5251, which has one bathroom), one of which has a bathtub and the other a shower. 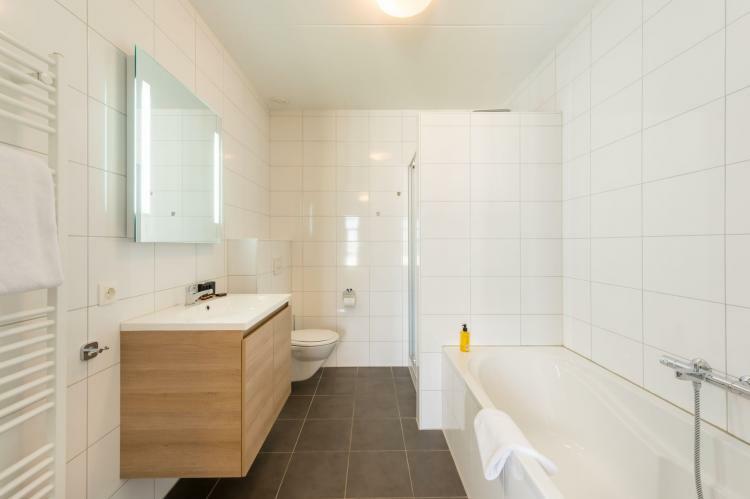 For apartments with an infrared sauna, the sauna will be located in one of the bathrooms. There is also a separate utility space with a washing machine and dryer. The beds will be made on your arrival. To top it all off, there is a balcony with garden furniture. There is one parking space in the garage for each apartment. There are several pet-friendly apartments. However, this does not mean that the other apartments are automatically pet-free.